NEW DELHI; February 6: National Board of Examinations (NBE) will declare the score card of NEET PG 2019 on February 6. Careers360 called NBE officials, who confirmed that NEET PG score card 2019 is to be released by 06:00 PM, today. Earlier, the result was announced online on January 31, in PDF mode. All the aspirants who have qualified PG medical entrance exam can download the score card using their NEET PG roll number, date of birth and displayed captcha code. NBE conducted NEET PG exam on January 6, 2019, while the online test for J&K aspirants was held on January 17. Based on the marks mentioned in NEET PG score card, aspirants will be granted admission to around 5267 Masters of Surgery (MS) and Doctor of Medicine (MD) courses granted by government, private, deemed and central universities across India. In order to download the score card, the qualified candidates can check the stepwise procedure provided below. 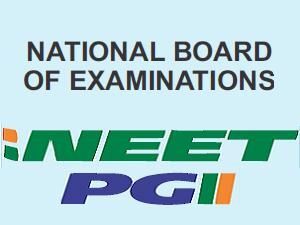 How to download NEET PG Score Card 2019? Enter the required login credentials – roll number, date of birth and provided captcha code. Thereafter, verify the name, personal details, NEET PG scores, All India Rank and other information. Download and take a printout of NEET PG 2019 score card for further requirements. Candidates securing the minimum qualifying marks as declared by the regulatory body will be considered qualified. NEET PG cutoff 2019 for general category is 50 percentile, while the corresponding marks is 340. Similarly, the cutoff percentile for aspirants belonging to reserved category is 40 and the scores equivalent is 295. Once the score card is released, the authority will prepare and publish the NEET PG merit list 2019 for 50% All India Quota candidates, in the online mode. The merit list will include the name of aspirants, NEET PG All India Rank, scores obtained (out of 1200), percentile marks and other related details. The merit list of NEET PG 2019 will be prepared on the basis of scores obtained by candidates. In case, the scores of two or more test takers will be equal, then NBE will follow the tie-breaking method to resolve the same. The Medical Counselling Committee (MCC), authority body of 50% All India Quota will conduct the seat allotment process of registered aspirants. According to the NEET PG merit rank, choices of colleges as well as courses, reservation criteria, availability of seats, the admission to MD/MS/PG Diploma courses will be granted.